Teaching sight words is so much fun once you have the right tools! How do you reinforce sight words? I love getting the kids to learn their sight words in different ways. Most of the time they are learning through play and group games. These summer sight word color by codes are sure to get your students wanting to learn their sight words! This activity is so easy to setup – just print and play! All you need are the printable pages (at the end of the post) and crayons. 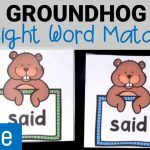 There are eight sight words total in this activity pack, geared toward Kindergarten. These include: said, and, was, big, see, you, the, and we. Before we begin the activity, I like playing a quick game with the class to pre-teach or review the sight words. This way the kids are familiar with them. The kids love reading their sight words and coloring to find the hidden pictures! Once you’ve printed the activity pages, you can hand out the sheet and tell the students that they need to read the code as well as the sight words. It’s essential they know that they should be coloring the sight words according to the code. 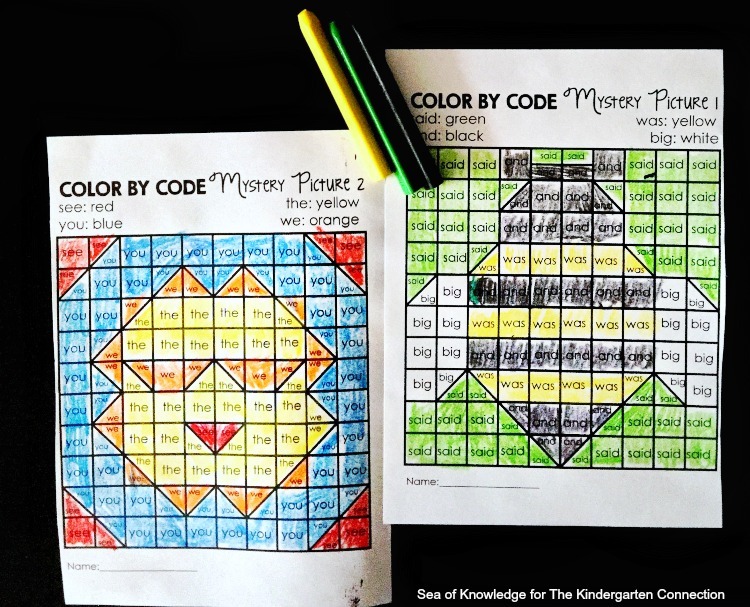 You may want to color the key together beforehand depending on how your students are with reading color words. 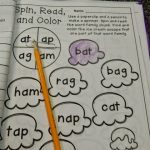 Ready to work on some sight words and color words too? 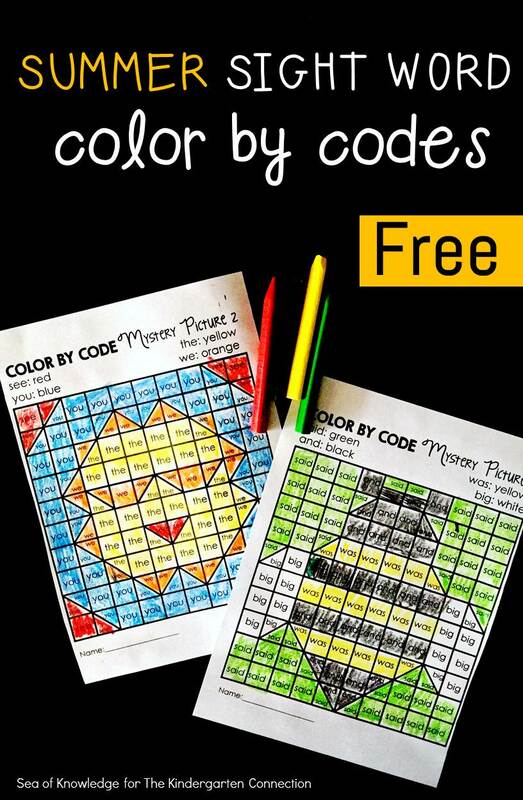 Grab your copy of the summer sight word color by codes printables by clicking the yellow button below! 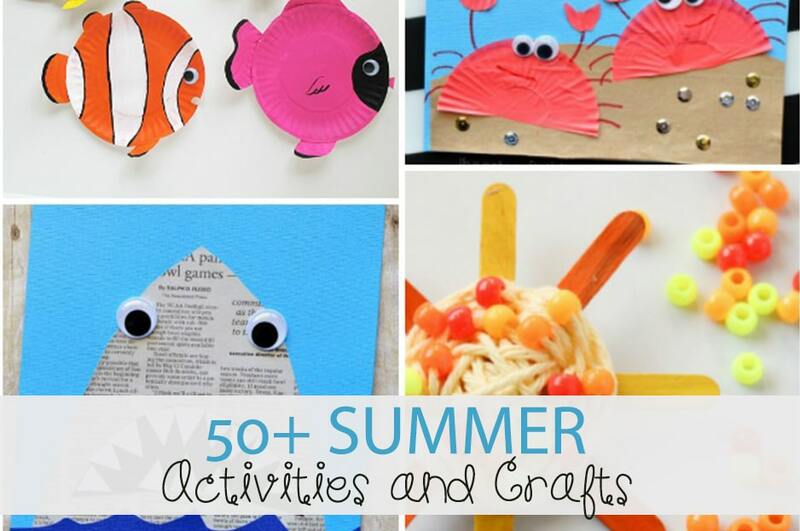 Then, hop over and check over 50 more of our favorite summer printables, crafts, and activities!